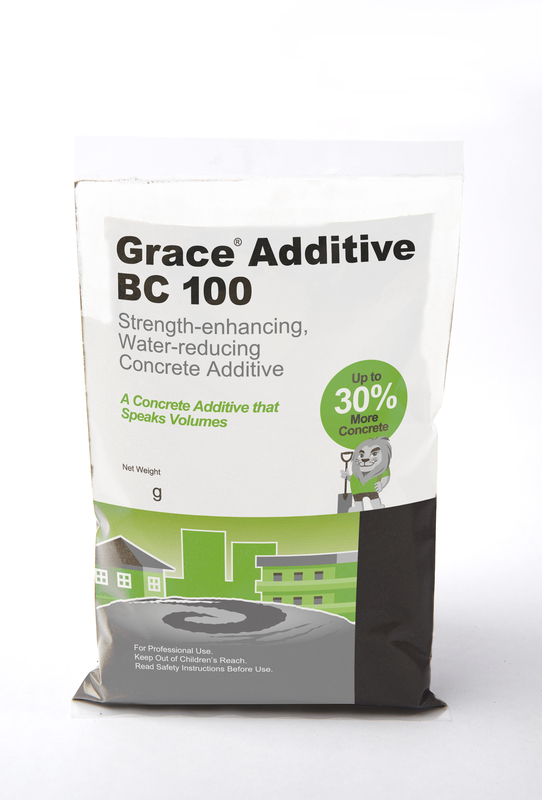 The Grace range of additives for concrete and cement mortar helps improve the quality of your concrete and increase its volume for greater profitability. The application of these additives either at a production facility or construction work site can help you build profitably and build to be more in line with the needs of your customers. 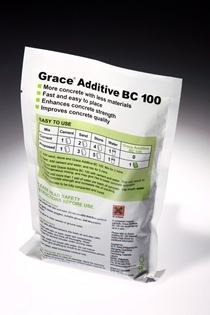 Grace additives literally speak volumes about what they can do for your buildings and your business. A high range, water-reducing additive that improves cement-based mixtures and delivers excellent water reduction and superplasticizing effects. They can be used at work sites in the construction of concrete structures from normal to high strengths, as well as in precast concrete or cement mortar producing facilities. Concrete with BC 100 has better flowability, making it very easy to work with and place, and enhanced quality and durability. If used as instructed, concrete volume can be further maximized up to 30%. 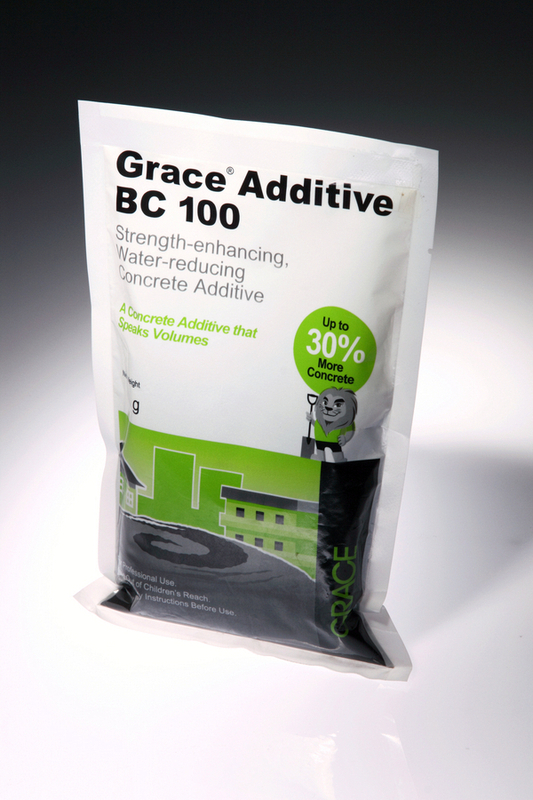 A high range, water-reducing additive for concrete that forms an integral barrier against water penetration. Concrete with BC 500 has improved workability, better impermeability, and increased tensile and compressive strength. The addition of BC 500 can also help inhibit corrosion of reinforcing steel in concrete. Founded in 1854, Grace is a premier specialty chemicals and materials company noted for its experienced people, global research and strong customer relationships. Grace provides reliable, value-added products and services to thousands of customers in a wide range of industries. A truly global business, Grace has about 6,500 employees in over 40 countries. The company has two operating segments, Grace Davison that provides specialty chemicals, materials and formulation technologies, and Grace Construction Products that produces specialty construction materials, systems and services that strengthen, enhance and protect structures. We are passionate about developing cutting edge technologies and seek to have a positive impact on the lives of people everywhere. Our superior global reach, resources and technical expertise help us ensure that our customers consistently receive- and in turn- deliver the very best solutions. Grace Construction Product has served the needs of the international construction industry for more than half a century. Our quality products and technologies have provided solutions to some of the most challenging construction projects. Today, they are found in major buildings and infrastructures all over the world. Grace Construction Products offers a wide range of innovative specialty construction chemicals and materials that includes: concrete admixtures and fibers, products for architectural concrete, pigments for colored concrete, cement processing additives, concrete masonry products, air and vapor barriers, roofing underlayments, self-adhered window, door and deck flashings, structural waterproofing systems and fire protection products. Grace Construction Products is recognized around the world for its advanced technology, strong customer focus and personalized services, and a solid reputation for reliability. Grace Philippines was established in 1965 and has about 60 employees. The Philippines operation manufactures products and provides services for both its Davison and Construction Products business segments. Copyright © 2000 L.G. Atkimson Import-Export Inc.